The year 2012 has seen NACOHAG make major strides in implementing its strategic plan for 2008-2013. We re-organized the organizational structure and formed a senior management team that comprises of 2 board members and the programs manager. We also said goodbye to our clinical officer who had been with organization since the inception of our medical facility. We do appreciate his contribution to the success of the clinic and wish him all the best in his future endeavors. We remained focused to our core mission, that of delivering affordable and quality health care services that effectively mitigate the spread and effects of HIV/AIDS. Even though we have been able to achieve much, huge challenges remain, therefore as we take pride in the significant impact our programs have had, we re-dedicate ourselves to our mission. In doing this we remain committed to our core values. NMC… from the Clinical Officer’s desk….. The NACOHAG Medical Centre (NMC) is the clinic department of the organization. It is located in Karagita which has a population of about 80,000 people. This is an outpatient facility that is staffed by a registered Clinical Officer, registered Community Health Nurse, registered laboratory Technologist and a pharmacy assistant. The major health challenges within the target population are Malaria, HIV/AIDS, typhoid, chest infections, eye infections and malnutrition.The services offered at the clinic include general consultation and treatment, Lab Services, Voluntary medical male circumcision, Post -abortal care services, Family Planning, MCH, ANC and a comprehensive care centre. The facility embraces the virtue of continuous medical education to ensure that our services are up to date and in compliance with the national guidelines. In the year 2012 the clinic managed to attend to 6,945 clients. See below the breakdown of the patients attended to from January-December 2012. Our relationship with PSI (population services international) continues to grow stronger. We now have monthly ‘tunza’ days at the clinic. Tunza stands for affordable and quality services and that is what the NACOHAG medical centre is all about. We have revised our prices for the long term FP methods in order to reach to the many needy women in our community. Through our community mobilizer we have aggressively campaigned for the women to take charge of their reproductive health and to only get the number of children that they can comfortably take care of. We have done outreach clinics in flower farms in the course of last year in an effort to reach out to the ladies who work in farms and therefore do not get an opportunity to attend our ‘Tunza’ day clinics. This program has been well embraced by the management of the farms, thus its huge success. We wish to continue doing the outreaches in the coming year. We continued to offer HIV testing and counseling in our stand alone sites as well mobile VCT. The bulk of our HIV work was done in the workplaces, in the numerous flower farms in Naivasha. More men continue to be tested more than women, our stand alone sites so an increase in couple testing. The main challenge for the HTC program has been on couple disclosure of positive status, this is especially difficult if the one of they are a discordant couple. In 2012 we managed to test 5,611 people even though we had a serious shortage of testing KITS. This year a total of 12 teams registered for the annual tournament. The teams were divided into 2 pools and the tournament was played on a league basis. During the play days we were able to offer HIV testing to the players and the community that had come to watch the football. We also teamed up with PSI (Tunza) to offer family planning services. The Tunza mobilizers were on hand to educate the women on the importance of family planning and to demulsify the various myths that are associated with long term FP methods. This is a program that NACOHAG started at the beginning of the year. It was well received by the farms and we managed to train 210 peer educators from 7 farms. They were equipped on skills that would help them reach out to their peers in the course of their duty with behavior change messages. 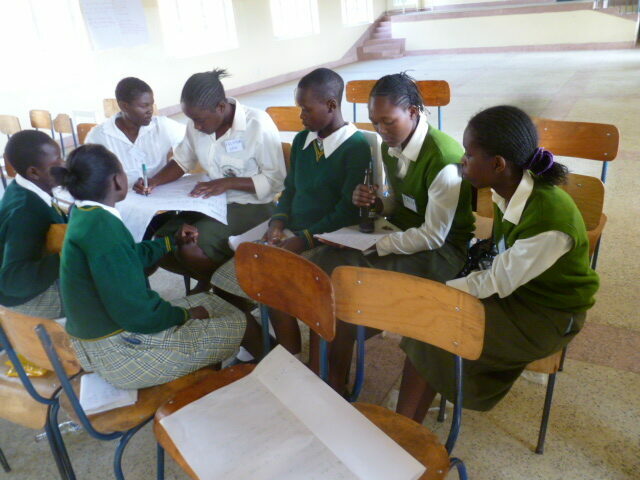 We also had an opportunity to train Oserian teenage girls on life skills. The 35 girls who attended the one week training were equipped with skills that would assist them not only perform well in their academics but also face the various challenges in life as they grow into adulthood. 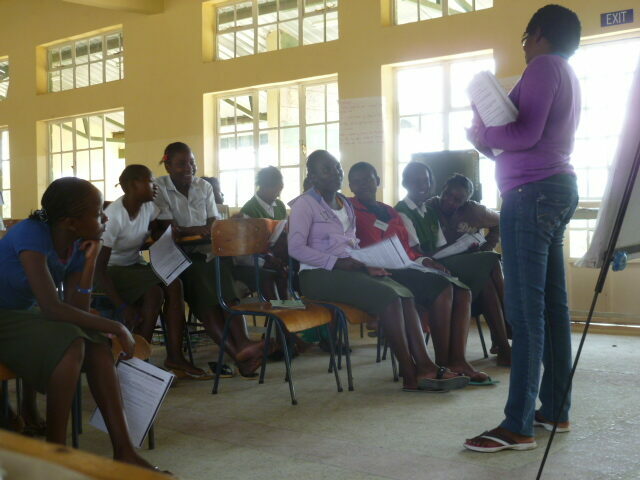 Self esteem was a major issue that the girls were facing which was addressed during the training. The girls were awarded certificates during the World Aids day celebrations by the production Manager (Roses) and Sarah Mwangi who is the training manager. 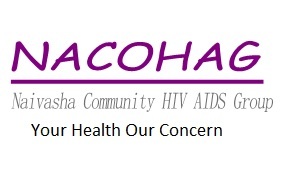 It comprises of 208 people living with HIV/AIDS who seek care and support from Nacohag medical centre. The care includes medical care whereby the client is enrolled for ARVS which help them boost their immune system and also prevent opportunistic infections [OI’S].The support comprises of psychological support and adherence counseling, to this effect a support group has been formed and the members meet on a monthly basis.They share their life experiences together and how they are coping with the challenges that they encounter. This has helped them adopt positive living hence reducing self stigma and discrimination. Adherence counseling engages the client through several counseling sessions whereby the client realizes the importance of complying with ARV’S. Since its formation the support group has grown tremendously through trainings from Self Help Africa [SHA] and Imarisha which has pledged to work with the support group by initiating an income generating project through environmental conservation. Through the trainings that were conducted by SHA, the support group members have been able to improve their standards of living and also alleviate poverty.Self Help Africa has trained the group members on kitchen gardening, Dairy goat keeping, sweet potato and cassava vies farming. They have also been trained on leadership and group dynamics. Self Help Africa through ALPHA plus has donated to the support group 2500 liters water tank and drip lines. 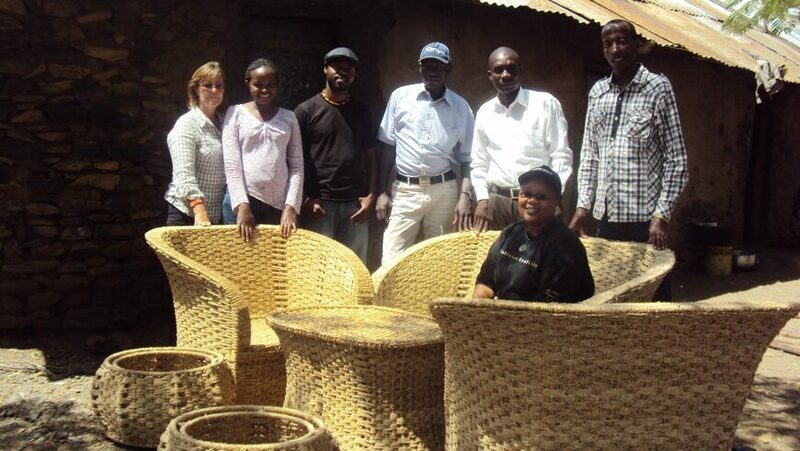 In February 2012 through Imarisha, 3 Nacohag’s staff and one support group member visited Kisumu to acquaint themselves with knowledge on how to use the water Hyacinth to make crafts. We visited several projects and were taken through the process of harvesting and treating the water hyacinth and on how to make various crafts using the water hyacinth. We had the privilege of visiting the group that made the coffin that was used during the burial of the late Nobel Laureate Wangare Mathai, who was a well know conservationist. The vision that the group has is to start a replica of the same here in Naivasha using the readily available water Hyacinth that is found in Lake Naivasha. A proposal has already been done to Imarisha requesting for funding to implement the same project through the support group. This will help alleviate poverty and also conserve the environment.